(Hong Kong, May 27, 2013) Human Rights Alert (HRA) and the Asian Legal Resource Centre (ALRC) will hold a discussion on the Armed Forces (Special Powers) Act, 1958 (AFSPA) at Palais des Nations, on 29 May, 2013. The discussion will coincide with the report of the United Nations’ Special Rapporteur on extrajudicial, summary or arbitrary executions to the 23 Session of the UN Human Rights Council. The report,A/HRC/23/47/Add.1, dated 26 April 2013, covers the Rapporteur’s visit to India. The Rapporteur’s report deals at length the ill effects of AFSPA, upon the people of India, on the justice process in general and the possibility to resolve the armed conflict in Manipur. The discussion on AFSPA will be held in room number VIII, from 12.00 to 14.00 hours at Palais des Nations on 29 May 2013. Mr. Babloo Loitongbom from HRA and Ms. Neena Ningombam representing the Extra Judicial Execution Victim Families’ Association, Manipur, India will lead the discussions. Representatives from the Office of the High Commissioner for Human Rights and the Permanent Mission of India to UN in Geneva are expected to attend the discussion. The Extra Judicial Execution Victim Families’ Association is a group from the Indian state of Manipur that has recently approached the Supreme Court of India, seeking the Court’s directives to the government, requiring the government of India as well as the state government of Manipur, to be accountable for alleged cases of extrajudicial executions, reported from Manipur. The Association, in its writ application alleges, that between 1979 and 2012 May, 1528 persons were killed extra-judicially in Manipur. The Association has filed in court two lists, in which details of 51 cases are provided, that the petitioner allege is proof to the fact that extrajudicial execution is widespread in the state. The Association alleges that the draconian AFSPA is one of the reasons why such wanton misuse of authority with impunity is possible in Manipur, resulting in alarming number of extrajudicial executions in the state. 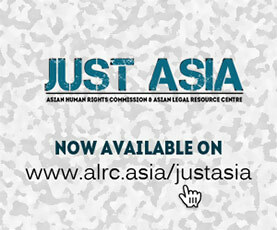 Many of these cases cited by the Association have been reported globally by the ALRC’s sister concern, the Asian Human Rights Commission (AHRC). The Supreme Court of India, after accepting the case to records, constituted an independent Commission to inquire the allegations made in the writ application. The order of the Court is available here. The Commission, after inquiry has filed its report to the Court, in which the Commission has concluded that the allegations of extrajudicial executions made by the petitioner in the case are true.